Special offer: 15% off Cebra Ethical Skincare! 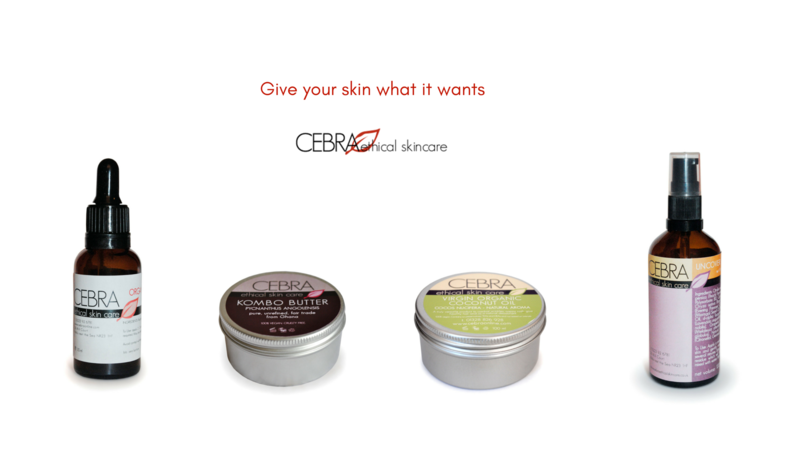 Cebra Ethical Skincare is all about pure, wild oils and butters and hand crafted, freshly-made skincare. My name is Sabine Oppenlander. I founded Cebra ethical skincare in 2005 when cruelty-free cosmetics and skincare were something most people hadn't heard of. My passion is to offer powerful, potent and clean skincare that really works. And that doesn't contain animal byproducts or was tested on animals. Ever. I am also passionate about fairtrade and the environment and I would like you to benefit from my environmentally conscious skincare products that also care about the people that supply me – indigenous groups from the African and Amazonian rainforests as well as small European-based farming communities. Pure plant and seed oils and butters that are unadulterated – wild harvested, expeller-pressed and filtered without chemicals – are the most skin friendly products you can find. Plants have a capacity to heal and sooth, not only internally but also externally. If harvested and handled carefully the nutrients in plants can be very beneficial to skin conditions and also help maintain healthy skin and to look and feel radiant. Everything I make and offer I have tested on my own skin. I did suffer from acne in my younger years but nowadays I am always looking for exceptional oils and butters that singly or in combination can help to sooth a range of skin conditions like very dry skin, fine lines, redness and irritations as well as the occasional breakout. If you want to try my range then I offer small bottles of 30 ml of certain oils. You can also use this code to purchase my line of 100% vegan registered brushes and combs handmade from sustainably grown European hardwood, featuring sisal bristles or sugar-derived acrylic bristles. I am always here to offer advice on any products I make and sell – drop me an email and I try my best to answer your questions. Give your skin what it wants - I look forward to trying and helping you achieve the skin you always wanted.